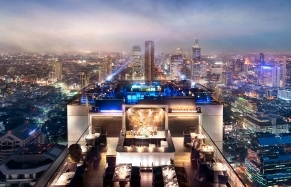 Widely regarded as one of the top luxury hotels in Bangkok, Banyan Tree boasts unparalleled views of the city, elegant interiors, unabashed pampering and a spectacular rooftop restaurant. Located in the heart of the city, near the Silom Road, famous for shopping and entertainment, Banyan Tree occupies a custom-built high-rise and holds the crown of the tallest luxury spa hotel in Bangkok. 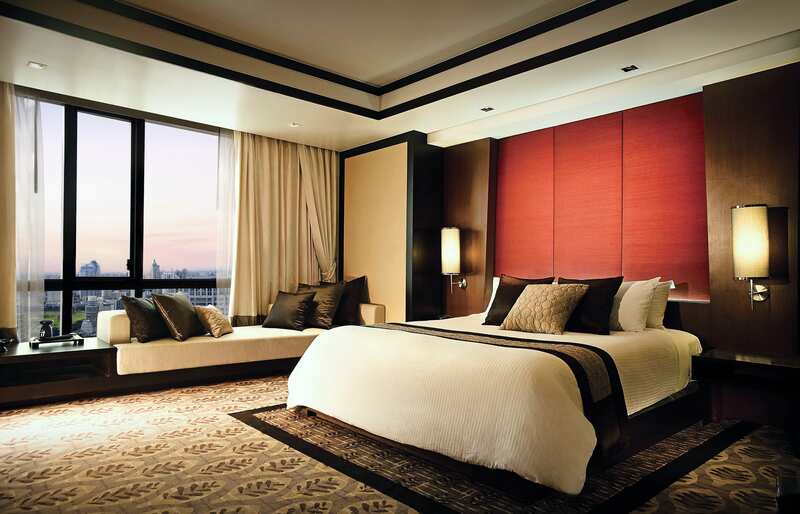 This flagship hotel of the Banyan Tree brand embodies the best qualities of Bangkok. The service exemplifies Thailand’s warm hospitality; the décor is extravagant and quintessentially local, full of voluptuary statements. Bold use of rich gold and bronze tones in the main lobby evokes an old-world Thai glamour. Banyan Tree’s 327 rooms and suites are well appointed with sophisticated design flourishes, natural wood, and warm silk fabrics. The floor to ceiling windows ensure that natural light floods the space and let the guests gasp at the fantastic city views. Luxury spa products in the bathroom, carefully positioned object d’art, exotic fruit bowls and every possible mod-con combine to make every room special. 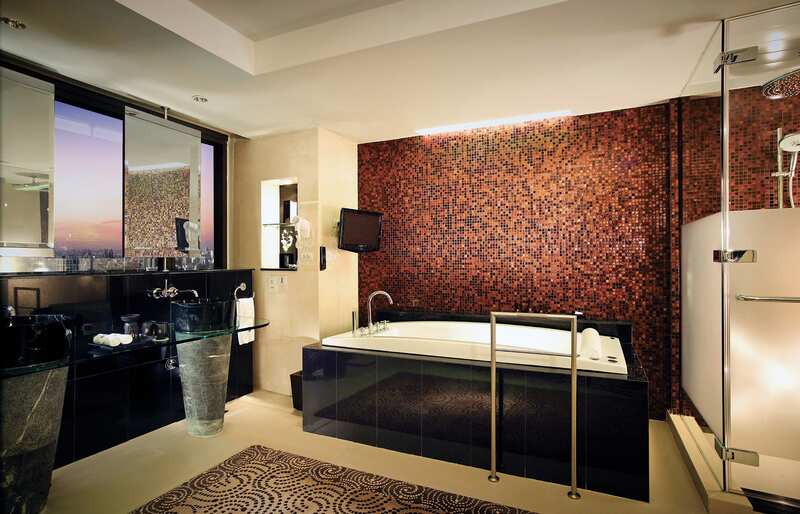 The Banyan Tree Bangkok is highly regarded for its award-winning, world-famous spa. 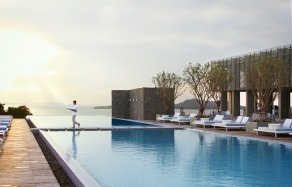 Staffed with graduates from the Banyan Tree Spa Academy in Phuket and Lijiang, with 16 well-appointed treatment rooms, delightful sun deck, Jacuzzi, pool with a swirling current and a range of treatments and therapies — the spa promises a truly enchanting and enriching experience. There is a good choice of dining at the hotel, including the extravagantly decorated Pier 59, where blue lighting is designed to evoke a subaquatic atmosphere (visit for excellent seafood). Dim Sum is served at Bai Yun and Nouvelle Thai cuisine is available at the signature restaurant, Saffron. The Banyan Tree’s renowned rooftop experience, famous Vertigo Grill and Moon Bar on the 61st floor, takes the crown as the most spectacular dining place venue in Bangkok. The views over the city and the spectacle of the sun setting in the city’s haze are simply breathtaking. 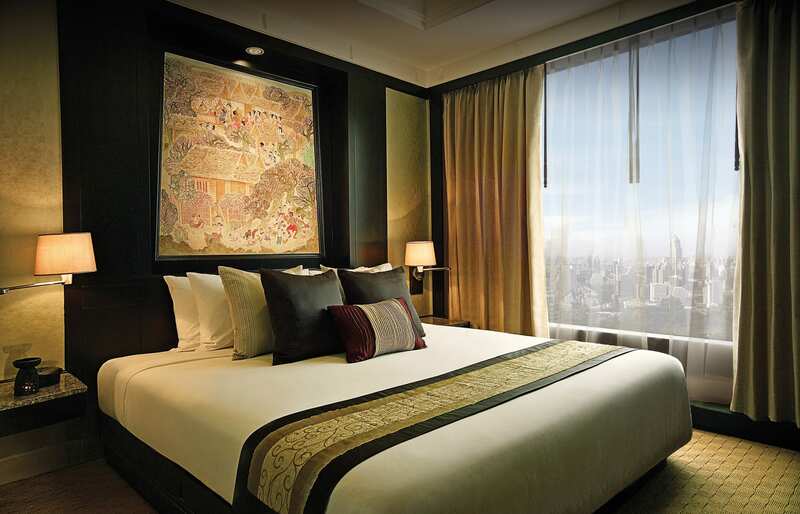 Banyan Tree Bangkok is a great place for a business traveller or anyone looking for a top-end base camp when exploring the bustling city. 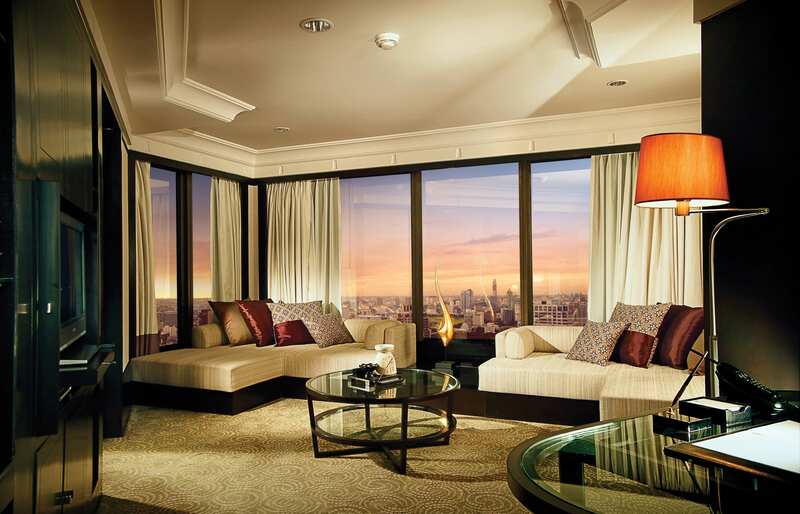 Insider’s tip: for the best views from the room book the Premier suite or better. These rooms also come with special benefits, e.g. complimentary all-day cocktail canapés and beverages in the Club lounge—as well as priority use of the deluxe spa treatment rooms. Good location, close to Silom Road. Hotel is located about an hour from the airport by taxi.